The U.S. Army is having a tough time finding enough soldiers to fill their ranks, as younger generations have become less willing to fight for the country. In fact, after missing recruiting goals last year for the first time since 2005, the Army turned to the video game world to find recruits and may start talking to kids as young as 12 about joining the military. Army Recruiting Command selected 20 Army gamers ― out of 8,000 applicants ― to be part of an official Army eSports team that will stream their own gaming while at home and travel to tournaments to meet teenagers who could one day serve. Will Video Game Skills Transfer to the Battlefield? Besides being an effective way to up recruiting efforts, the military has been looking at video gamers for quite some time as a way to ensure battlefield readiness. 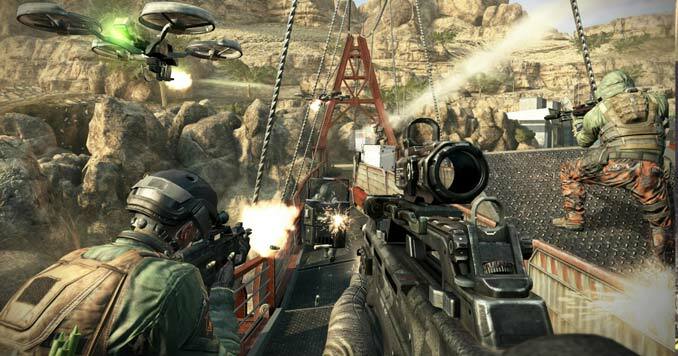 Over the last decade, the military has increasingly started to encourage its soldiers to partake in first-person shooter style games as a way to continue combat training. Earlier in the month, we ran an article about how video games can effectively train people in the field of preparedness, and it looks like for better or worse the future of military warfare may be determined by gamers.